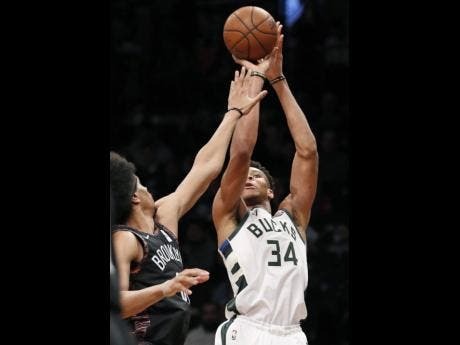 On Wednesday, the Pistons brought some hope into the equation by trading forward Stanley Johnson to the Milwaukee Bucks for Thon Maker. First reported by ESPN's Adrian Wojnarowski and Zach Lowe, the Bucks will be acquiring veteran forward Nikola Mirotic in a three-team deal between the Bucks, the Detroit Pistons and the New Orleans Pelicans. The 6-foot-7 small forward out of Arizona was averaging 7.5 points and 3.6 rebounds this season and in four years with the Pistons averaged 7.1 points and 3.5 rebounds. Through 48 games played with the Pistons this year, majority coming off the bench, Johnson has averaged 7.5 points and 3.6 rebounds per game, while shooting 38 per cent from the field. Johnson played one season of basketball for Arizona before being taken eighth overall by the Pistons in the 2015 draft. However, after showing promise last season, Maker had fallen out of head coach Mike Budenholzer's rotation and recently requested a trade. "Johnson can work to find a role on a contending team, and Maker will get an opportunity for playing time with Dwane Casey".